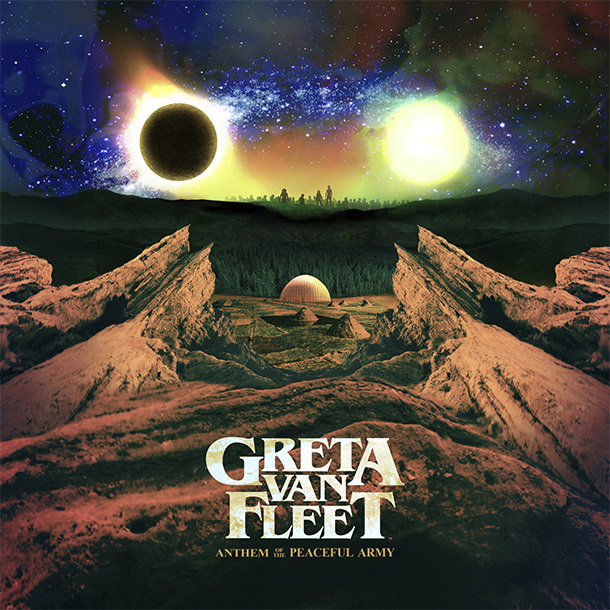 New York, NY – (September 7, 2018) – Greta Van Fleet – Jake Kiszka/guitars, Sam Kiszka/bass & keys, Josh Kiszka/vocals, and Danny Wagner/drums – is very proud to announce the upcoming release of the band’s debut album, Anthem of The Peaceful Army, due out October 19 on Lava/Republic Records. The album is available for pre-order now by going here HERE. Fans who pre-order the album will receive an instant grat track, the brand new song “Watching Over,” that you can check out here HERE. The first single from Anthem of the Peaceful Army, “When The Curtain Falls,” arrived at rock radio on August 15 and is already a Top 10 track with more than 13-million total audio streams. The song’s companion music video has surpassed 1.7-million views and can be seen here HERE.